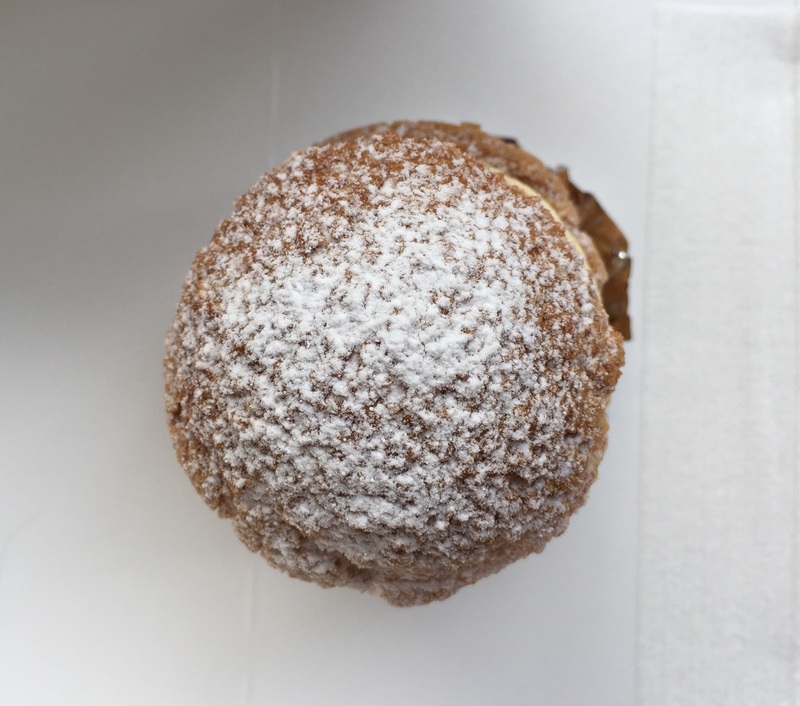 Atelier Ukai is a pastry shop at Moritex Tama-Plaza, and it's a part of Ukai group. It's a small shop with various sweets, and also they are making more pastries behind the large glass windows. 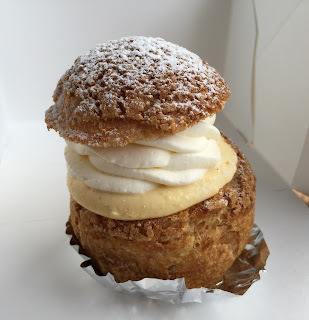 I was indecisive but I got a Chou Chantilly, cream puff. As it's a very hot day, they put some cool jell bags. In French, whipped cream is called "crème chantilly," and I assume that's why it's called Chou Chantilly. Chou is pastry puff and means cabbage in French. 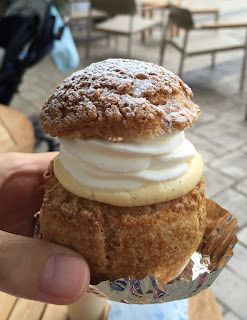 It's a small cream puff with lots of cream filling. 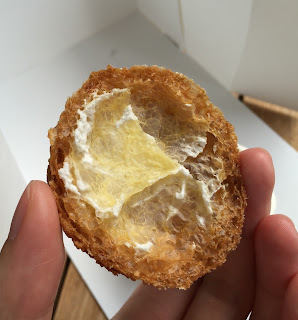 The puff was crispy outside and moist inside. The whipped cream was hard-peak. 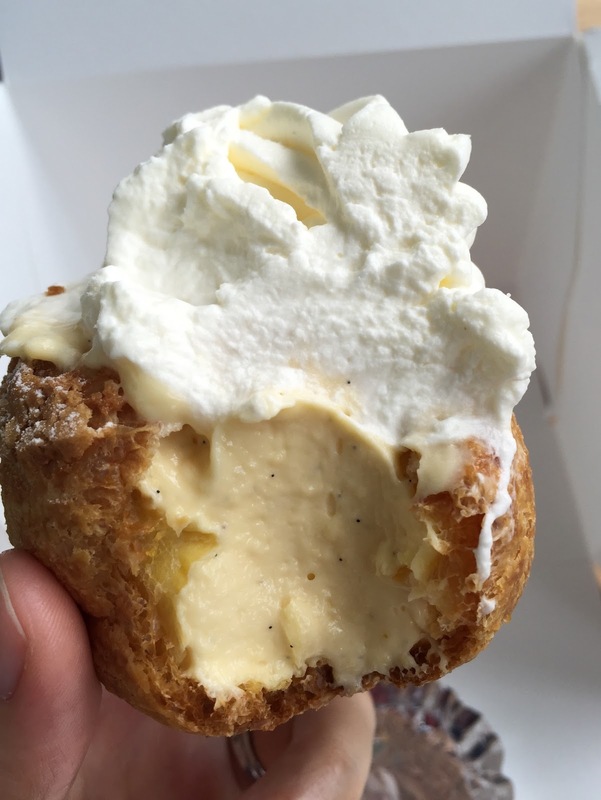 Custard with vanilla beans was filled the whole space of the puff to the top, and the custard was soft yet not runny. It's rich in vanilla flavor and creamy, but it's not heavy. 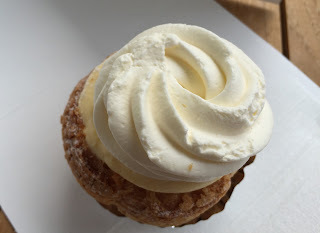 Lightly sweetened whipped cream had a good balance with the sweet custard filling.